Anise Essential Oil possesses the distinctive aroma of black licorice. Although you may not be a fan of black licorice, a single drop or two of Anise Seed Essential Oil can dramatically enhance an otherwise dull blend. It can be useful in diffuser and inhaler blends intended to help ease bronchitis, colds and the flu. It is said to help promote the production of breast milk and stimulate menstruation, but it should be used with caution and avoided in estrogen-dependent cancers (see safety notes below). Emotionally, Anise Essential Oil can be calming when used in very small dilutions. Anise Essential Oil has several safety precautions as noted below. Distinctive scent of licorice. Rich and sweet. Source: Julia Lawless, The Encyclopedia of Essential Oils (Updated Edition) (London: Harper Thorsons, 2014), 39. Source: B.M. Lawrence, Essential Oils 1988-1991 (Wheaton: Allured Publishing, 1995), 199. R. Tabacchi, J. Garnero, R. Bull, Contribution aletude de la composition de l'huile essentialle de fruits d'anise de Turque. (Rivista Italiana EPPOS 56, 1974), 683-697. K.H. Kubeczka, Essential Oils Analysis by Capillary Gas Chromatography and Carbon-13 NMR Spectoroscopy, Second Edition. (Chichester: Wiley, 2002). 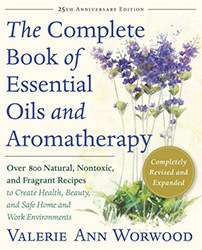 Sources cited in Robert Tisserand and Rodney Young, Essential Oil Safety (Second Edition. United Kingdom: Churchill Livingstone Elsevier, 2014), 196.